The Mana O Maui Warriors rugby team won the open high school gold medal at the Oahu 7s Tournament held last weekend. 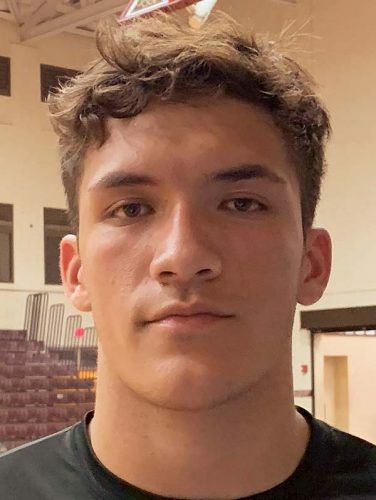 Mitchell Hirose scored five of the team’s nine tries in the tournament as the Maui Warriors defeated the Kahuku All Blacks 14-10, the Kahuku Red Raiders 20-12 and the Hilo Reign 33-0. They also earned a forfeit win over the Kona Bulls. 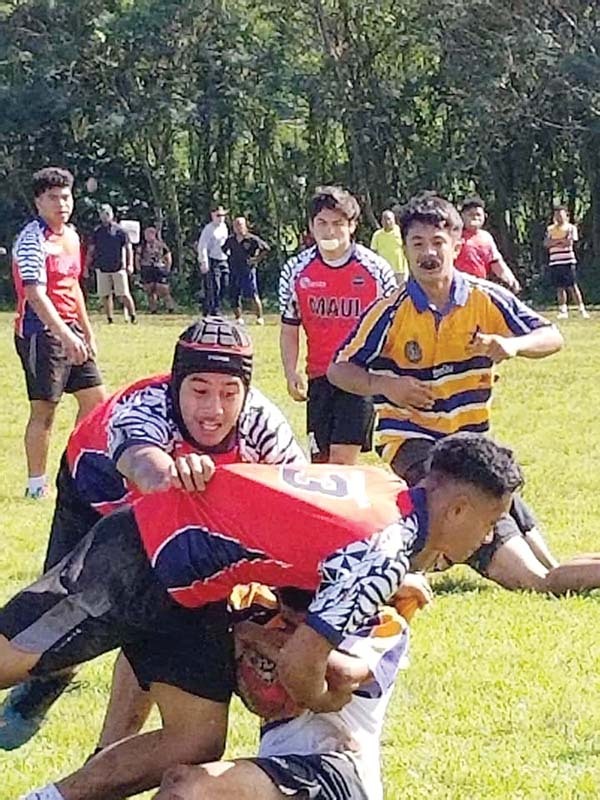 Joining Hirose on the Maui team were Atu Falekaono, Sione Lolohea, Soni Panuve, Usala Pulu, Mason McDonald, Laki Ikavuka, Sione Aholelei, Kaimana Benjamin, Akuila Kolomatangi, Helmet Baschleben, Matthew Vea, George Lavaka, Bill Jinira, Kamuela Olter, Keanu Pacheco and Maika Finau. Meanwhile, the Maui Rugby Wahine showed great improvement while capturing the silver medal. 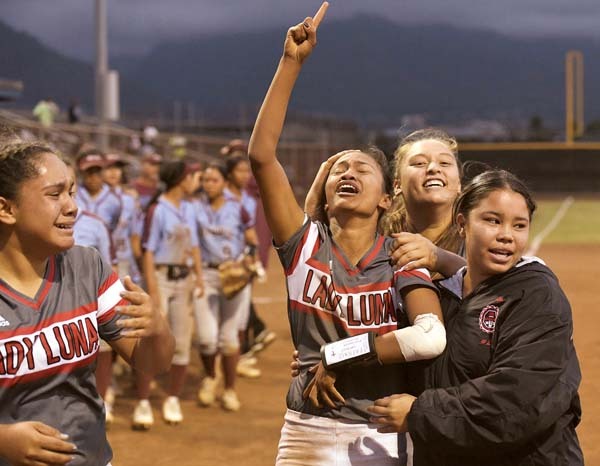 After losing to Kahuku 46-0 last month on the Big Island, the Maui Girls posted a hard-fought 17-12 defeat to the gold medalist this time around. They routed all of the other competition, beating Hilo Reign 26-5, Kona Girls 36-5 and Kahuku All Blacks 36-12. The Maui Girls scored 18 tries while only surrendering seven in their four matches. Team members were Tehani Acgaoli, Lele Hakes, Isabelle Hickman, Talia Kaio, Hali’a Kan-Hai, Kauanoe Keahi, Munalite Lolohea, Helava Maea, Faaee Mahe, Olimipa Masi, Susana Ngalu, Kahiwa Pahukoa, Alanoe Pemasa, Kiyana Pemasa, Vaihoi Pulu, Fane Tatofi and Cynthia Tongi. 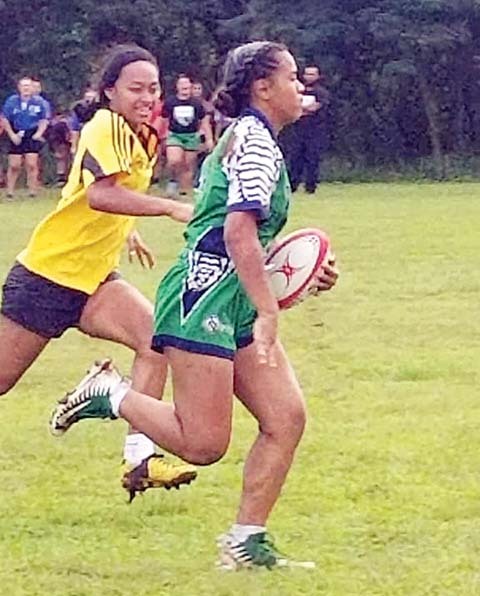 The tournament was the first stage for the boys and second for the girls in this season’s inter-island high school rugby 7s series. The next event is the Erdman Maui 7s Invitational Rugby Tournament, scheduled for Jan. 18-19. John “Doc” Mills of Kula made a hole-in-one at Maui Country Club on Dec. 28. Mills used a 6-iron to ace the 138-yard seventh hole. Witnesses were Chris Millen, Frank Jimenez, Jay Brown and Wally Taylor. Edwin Tesoro of Kahului made a hole-in-one on Wednesday at Waiehu Municipal Golf Course. Tesoro aced the fifth hole from 225 yards using a driver. 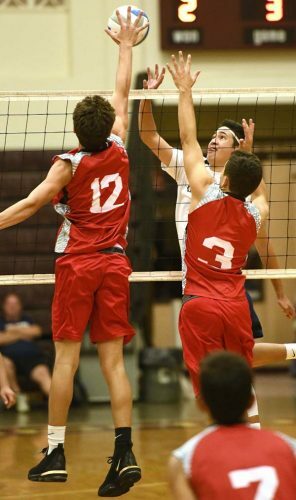 Wayne Omura, Jules Ino, Robin Tanaka, Everett DeCoite and Peter Hepler witnessed the shot. Samantha Morris of Cottage Grove, Minn., had a hole-in-one on Wednesday at the Wailea Gold Course. Morris used an 8-iron to ace the 216-yard eighth hole. Witnesses were Jack Bunce, Andrea Morris and Jonathan Morris.